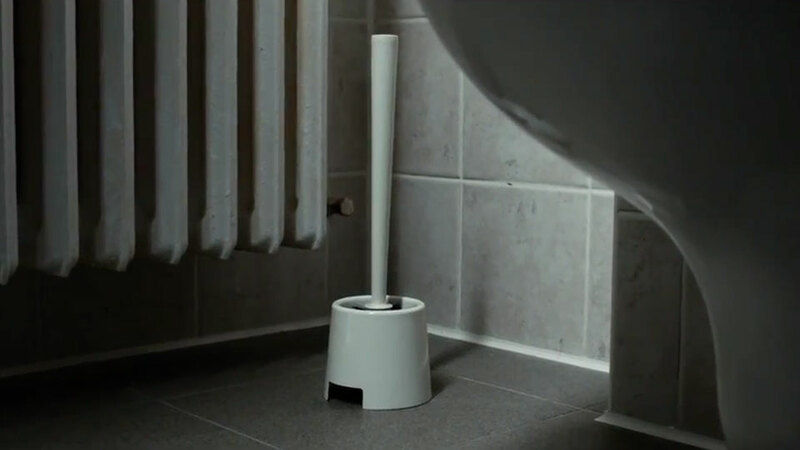 Don't take your toilet brush for granted, says a wise new ad from Ikea. Aptly titled "Everyday Heroes," the spot—by Swedish agency Forsman & Bodenfors—is a moving celebration of the different household fixtures that improve lives, constantly, in myriad little ways, but still can't get any respect. It perfectly nails the slow build from suspenseful to smirking to outright hilarious—peaking at the indignity of being a bathroom faucet on which totally rude people are always spitting their toothpaste. In other words, the concept is brilliantly irreverent—funny because it's true (even if the idea of everyday heroes might be more generally associated with, say, firefighters). And if anyone's going to project human feelings onto a coat rack, or a lamp, it should probably be a furniture seller, and done this well. Because these are the times we live in, the campaign also includes a Twitter feed, @EverydayHeroes365, narrated by and similarly devoted to honoring the usually unsung domestic workhorses. Regardless, based on the campaign's overall theme, Ikea probably should have made it about the consumers around the world who nearly lose their minds while trying to assemble its products.